Cherry Lakes stands at the heart of the Cotswolds Water Park. This area of the Cotswolds is a leisure paradise. Whatever your interests you will be sure to find it here, from bird and wild life watching, to walking and cycling, or sailing and jet skiing, beaches and woodland, retail therapy in regal Cheltenham or finding antiques in quaint Cotswold villages. Cherry Lakes is on the edge of the picturesque Saxon village of South Cerney. The village dates back to 999 AD, with a lovely Norman church built in the thirteenth century. The River Churn runs through the centre of the village, past two of the three local pubs, before winding it’s way along the northern boundary of Cherry Lakes. There is an 18 hole golf course, beauty salon and several well stocked village shops including an extended hours Co-oP . The nearby Roman town of Cirencester is also worth a visit and a good place to have lunch or a coffee. As well as being one of the best places for Carp fishing holidays in the UK, Cherry Lakes is also a great base from which to enjoy the Cheltenham National Hunt Festival and Gold Cup in March, The Cheltenham Jazz Festival in May and the Royal International Air Tattoo at Fairford in July and many others! The nearby De Vere Hotel has an excellent day spa. Ideal if you fancy a sauna or some relaxing treatments and time away from the fishing rods! 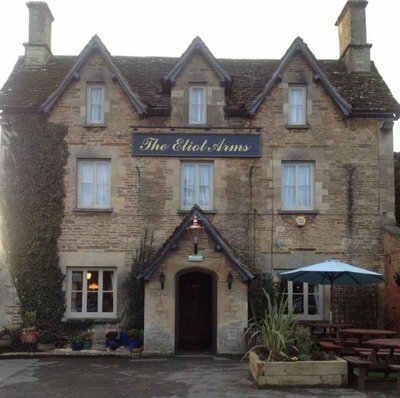 South Cerney has three good village pubs, which all serve food along with a great atmosphere. Best of all they are all walkable and less than 10-15 minutes from Cherry Lakes. So leave the car, take a torch and enjoy yourselves! The village also has an Indian restaurant and a good take away traditional Fish and Chip shop. If you don't want to eat out, we have an excellent Indian meal company which delivers as well as Pizzas. Almost all local villages have their version of a quaint country pub with a great range of ales and delicious, locally sourced menus. The Thames and Severn canal was built to join the Rivers Thames and Severn in 1789. Whilst no longer operational along it’s full length, it’s tow paths give excellent opportunities for seeing some stunning wildlife such as Bats, Water Voles, Dragonflies, Butterflies, Glow Worms, and various songbirds such as Reed Buntings, Reed Warblers and Blackcaps. Visitors to Cherry lakes can access the towpath from the end of Wildmoorway Lane, a lovely walk 15 minute walk from our front gate. The line -opened in 1883 and closed in 1963- is a much used cycle path and walk way. 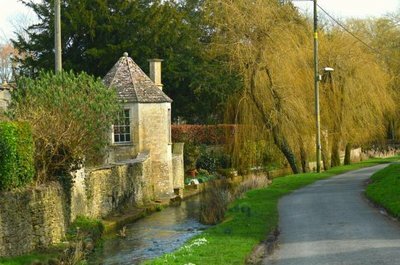 From South Cerney you can go south to Cerney Wick or north through the village to Siddington. Lovely, quiet and wonderfully shaded in summer, we recommended it highly as an enjoyable flat walk. which includes a circular walk around South Cerney and Cerney Wick, which incorporates both the Thames and Severn Canal towpath and the disused railway line and can pass right by the gates of Cherry Lakes! 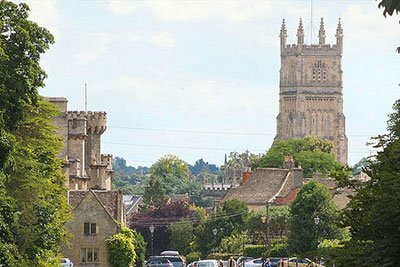 Visit one of the beautiful, quintessential Cotswold Villages of Moton–in-Marsh or Bourton-on-the-Water, or the Cotswold town of Stow-on-the-Wold, for a quiet day exploring combined with lunch.